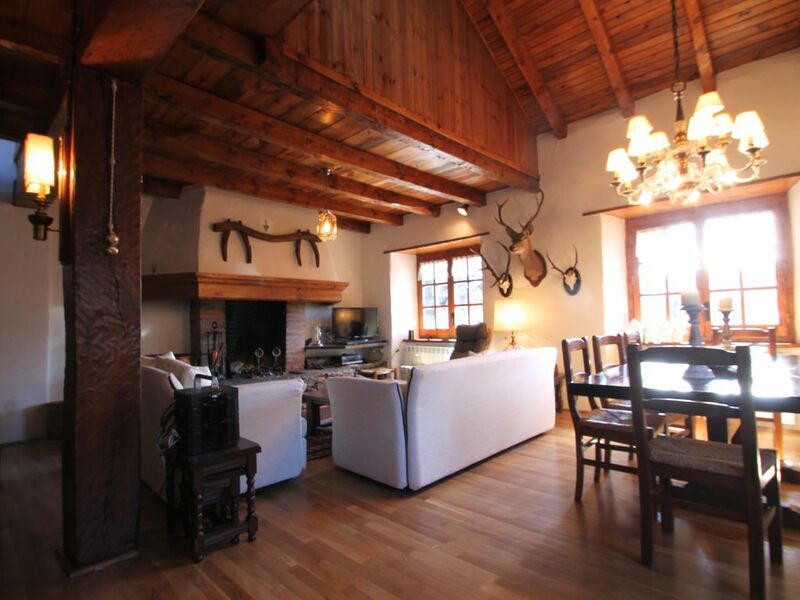 Rustic duplex built with wood and stone in the natural and peaceful village of Ordino. It is equipped duplex for 8 people with 3 bedrooms, 3 bathrooms, a spacious living room with fireplace and a parking space. It offers equipped kitchen, 3 bathrooms, 3 double rooms, wifi access and parking. It is 400 meters from the cable, perfect for ski lovers can practice without wasting time! Andorra is considered as one of the most important tourist centers in Europe. Gets a lot of visitors are primarily interested in shopping, because of the great prices and products in the country; as well as in the practice of winter sports and mountain excursions and hiking or to discover the country altogether. The Pyrenean country gives you a wide range of activities to enjoy with family or friends. Discover the most special corners of this small country and live the experience before and after skiing. Andorra has a large number of natural parks where you can make many nature-related throughout the year such as ecotourism routes ferrata, fishing, climbing or mountain biking routes (cycling) activities. You can also enjoy the hot springs at Caldea, the largest spa center in the mountains of Europe. Surrounded by a unique and spectacular setting in the midst of the Pyrenees, try it and experience all the benefits you offer hot springs. A wonderful place for a summer vacation. The house is very spacey ,and we had a privet parking in a parking lot. Everything was organized from check-in to check-out. The location is close to all the main attractions and sites. we will recommend it to all of our friends.